Back in October we caught wind that Alfa Romeo was going to sculpt the new Giulia into some sort of mystical Italian wagon. It was probably only destined for Europe, and now it apparently isn’t happening at all. The good news is that America will be getting the Stelvio. So we lost a beautiful Alfa wagon, but in a sick twisted turn of events, we also gained it. Except not at all. Oh well. 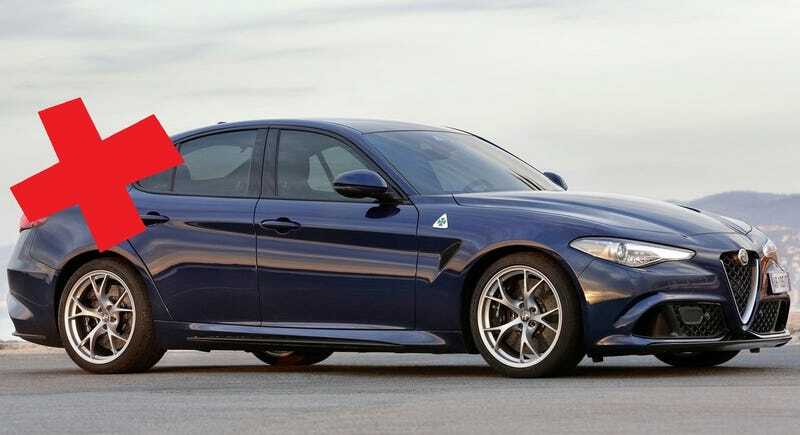 The regular Giulia will still be pretty special. I can’t believe you actually thought Alfa Romeo, owned by FCA, would manage a Giulia wagon.